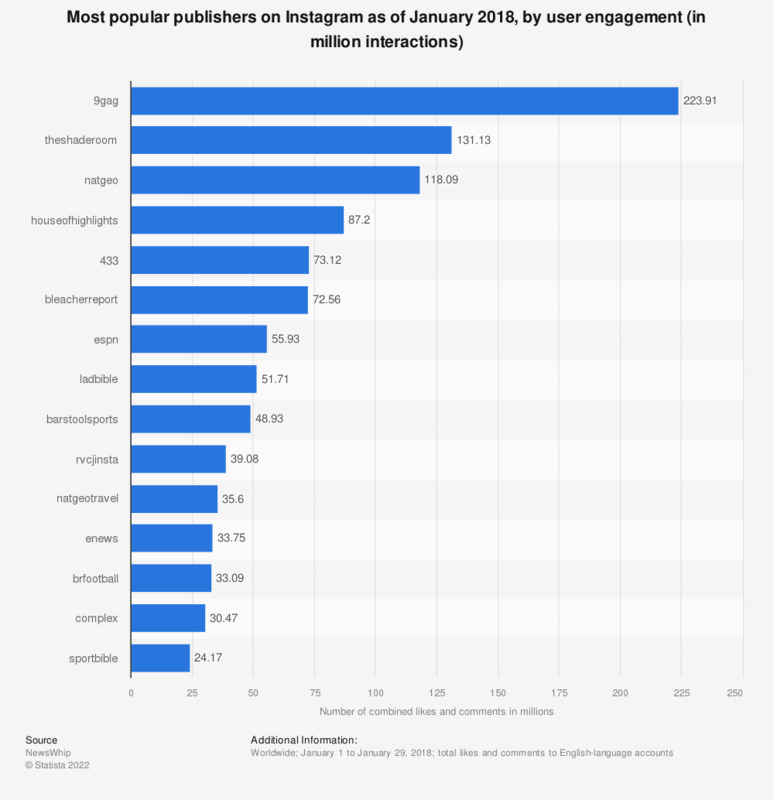 This statistic presents the leading English-language publishers on Instagram as of January 2018, ranked by user engagement. According to the findings, 9gag held the top position as leading publisher with a total of 223.9 million user interactions. Following in second, The Shade Room recorded a total 131.1 million Instagram interactions.